Pee in the pool? NOT cool! Community pools – hallmarks of summertime fun for kids and grown-ups. And ingrained in our memories of these neighborhood oases is the pungent odor of chlorine. Could you be soaking in more than you bargained for when entering that watery arena? Xing-Fang Li is a chemist at the University of Alberta, Canada. She and her colleagues wondered – exactly HOW MUCH pee is in your community pool? They took samples from thirty-one pools and looked for artificial sweeteners. Why? Because these sweeteners are left untouched as they pass through your body and leave as waste. She found that all pools are basically toilets! 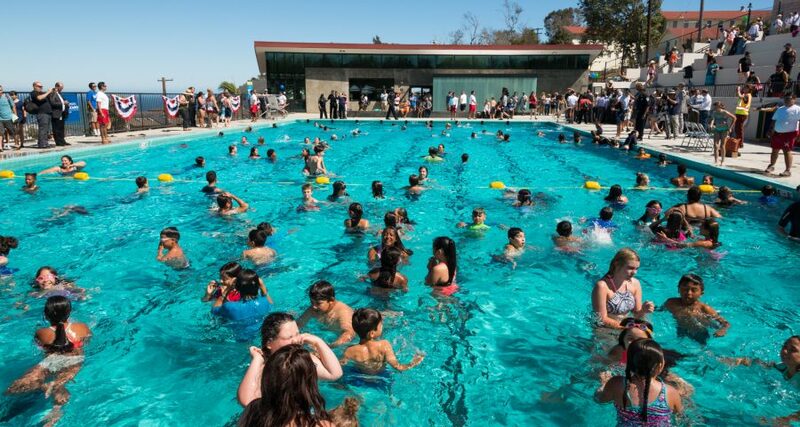 The average community pool contains about 30 gallons of pee. Only a small percent, but still gross…and potentially hazardous! Turns out chlorine and urine react to form nasty cancer-causing chemicals and warfare agents! And more pee means more chemicals. But, you can prevent this! Be cool and DON’T pee in the pool!